Tarek Chemaly: Almaza - when football and Brexit mix! 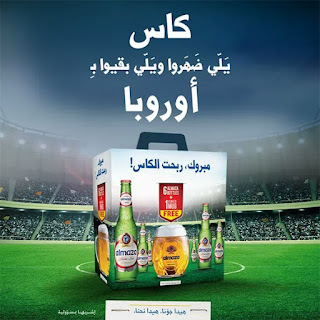 Almaza - when football and Brexit mix! The second post about Almaza in the same day, a first! But here we are - "mabrouk rbe7et el kes" congrats you won the cup - with cup being the extra free cup that comes with six bottles of Almaza. That's for Euro2016. Then comes the brexit hint "cheers to those who left and who remained in Europe", that would be England that left both the Euro2016 and the EU at large!